2010 October 25 We sold our 2000 Saab 9-5 SE. We owned the Saab for over seven years and sold it with 141,000 miles on the odometer (we put 112,000 miles on it). 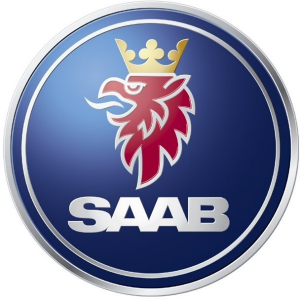 This page of material devoted to the Saab will remain active. This is the first time I have been without a Saab in well over 15 years. I wish Saab made a minivan, but they don't. So we bought a 2010 Honda Odyssey. There is no comparison between the two marques. I miss the Saab. The purpose of this site and the information it contains is to provide useful or hard-to-find information about the 2000 Saab 9-5 SE. I have done my best to present correct and accurate information. However, I do not consider myself an expert in the area of Saab automobiles nor 9-5 models in particular. If you find this information useful, I'm glad to be of service. If you see something that is incorrect, I'd appreciate it if you would send me a quick e-mail detailing the mistake. If you use any of the information I have provided, you do so at your own risk. I take no responsibility for the accuracy of nor the consequence of using any content on this site.